(Click on the photo if you want to see a larger version) For those of you who are Seinfeld fans, you’ll know what I mean by the title. Watching the frozen Sea of Japan was quite a serene experience and I was far from the state of mind of George’s father in Seinfeld. I was sitting and having lunch at Hotel Vladivostok and I could see this through the window of that cafe. It was beautiful. 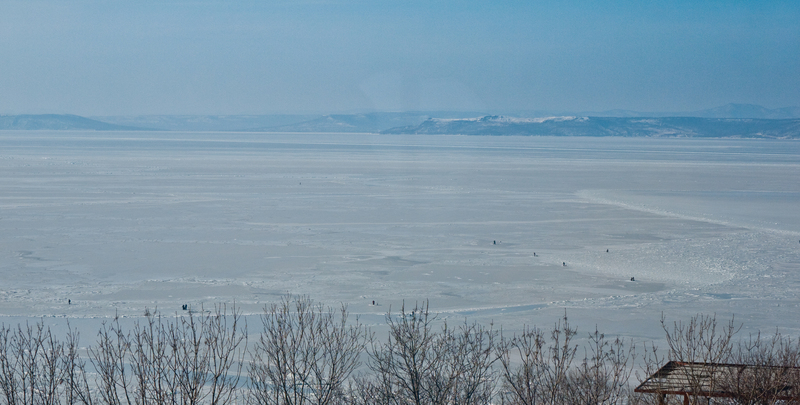 People ice fishing out in the sea (you can see them as black dots in the photo) and some even taking a late afternoon walk along the coast. The temperature was about -18 Celsius. 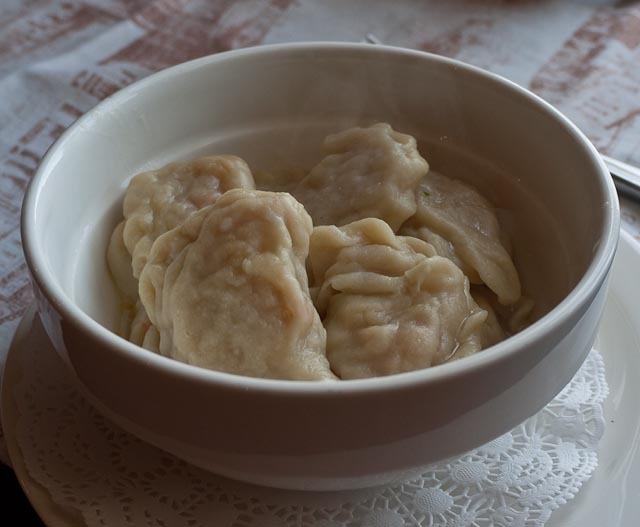 I remember having some vegetarian dumplings for lunch. I have an photo of that dish below. At Vladivostok it was just myself, @nat and @pradeep. @aish, @scott and @angelo joined us later in Irkutsk.